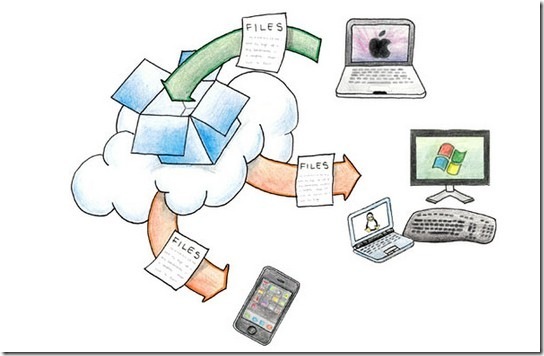 Dropbox is absolutely my favorite file sync software & web application in one. And the Dropbox iPhone app has tremendously changed the way I have access to my files. Dropbox puts your files in the cloud securely and keeps as many computers as you want in sync, now that includes your iPhone. Dropbox just introduced another killer feature – LAN Sync. In the past versions, if you had 5 computers in your house Dropbox would sync to them fast. But, it will upload changes from 1 computer to the cloud (Dropbox servers in the Internet) and then download those files to your other 4 computers. Dropbox v0.7+ now are intelligent enough with LAN Sync feature, they will first look in the local area network for the new file and download it from your own network instead of the cloud. Bypassing the download need from Dropbox servers makes syncing significantly faster. LAN sync only works with computers that share your broadcast mask. For example, usually all computers connected to a single router share a broadcast mask. If your LAN uses multiple network devices to extend its network, you may want to adjust its settings to broaden your broadcast mask between devices. If this sounds foreign to you, you may want to consult your network device’s documentation or a network administrator for help. If you use Dropbox in multiple computers in your home network or work LAN, make sure you get the new Dropbox build. Also, you may be interested in some of these best Dropbox hacks. In fact you can even take Portable Dropbox in your USB drive.